Union Square Press, 9781402761126, 304pp. As Rachel Carson did in Silent Spring, Dr. Paul Epstein here delivers a powerful wake-up call to readers and leaders, chronicling the alarming effects of global climate change on the health of our planet and its inhabitants. Blending groundbreaking scientific inquiry, sympathetic human stories, and a behind-the-scenes view of the politics of climate change during the Bush administration, Dr. Epstein, originally a general practitioner and tropical disease specialist, and award-winning science journalist Dan Ferber unveil an elegant and far-reaching synthesis of medicine, environmental science, and economic policy that sheds new light on the climate crisis and its startling impact on human health. 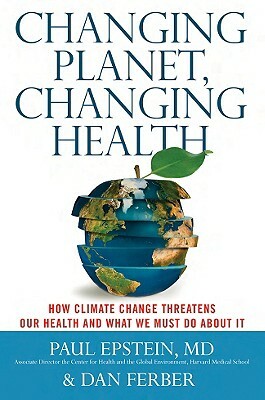 From Africa, where mosquito-borne diseases like malaria and dengue fever now appear at high altitudes, to the outpatient unit of Harlem Hospital, where doctors treat children with asthma worsened by high pollen levels boosted by rising carbon dioxide, Epstein and Ferber sound a clarion call that introduces readers to the cutting-edge of climate change science. Their book, the first to examine global warming’s damaging health effects, also contains an array of innovative measures to ameliorate their underlying causes.